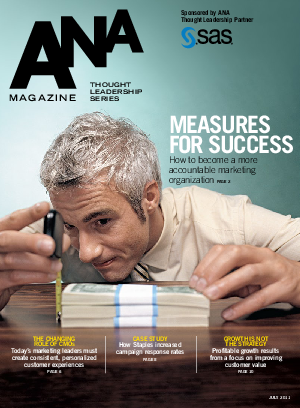 This collection is part of the ANA Magazine Thought Leadership Series sponsored by SAS. The articles explore the variety of ways to use analytics to create marketing functions that are more accountable and profitable. Learn how Staples used analytics to increase campaign response rates.